He didn’t say it until after the meal: “Uhhhm, Mercy? 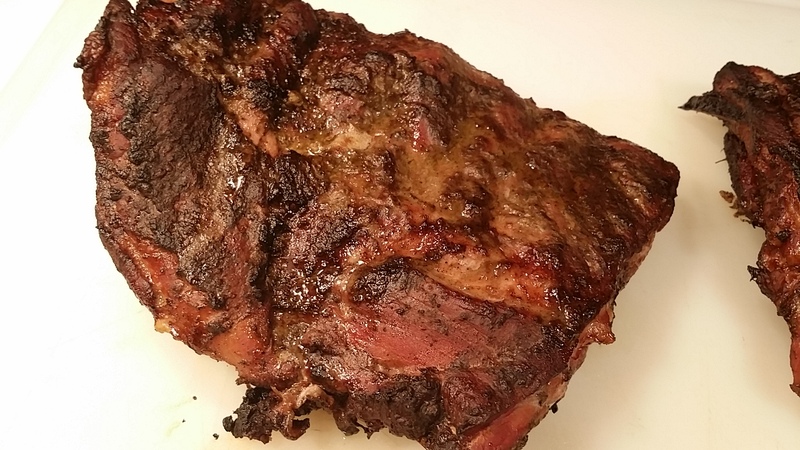 I’d never actually smoked ribs before.” That wasn’t the confession I’d expected from him. It was, however, the one I got. The “he” in question was Michael Gardiner He’s the owner of http://sdfoodtravel.com/. Michael and I—and several other food fanatic friends—had been dining in restaurants together for several months. Connected by social media and a shared obsession with food, it is highly probable that a week doesn’t go by when two or more of us don’t share a lunch. We’re a diverse group: retired chefs and other retirees (I’m a retired archaeologist), some who still do that day-job thing, food writers, food bloggers and combinations of the above. The evening grew out of a review I was asked to do of a product—a fire starting tool called “Fire’s Little Helper.” The issue, of course, was that while I’m the self-proclaimed “rib girl”—and am a certified Kansas City Barbecue Judge and a regular on the BBQ competition circuit—I don’t presently have a grill or a smoker. That is something of an issue when it comes to reviewing a product such as Fire’s Little Helper. Frankly, while I know and love barbecue and its nuances are evident to my palate on every plate, I’m not a barbecue cook myself. My father handled all grilling as I grew up. Then my husband who did it for years and my son took over after him. Smoking? I never grew up smoking anything that didn’t fit in a pipe or rolling paper. When I became a judge I was constantly asked where to get good ‘Que here in San Diego, thus, my BBQ web site was born. And so it was that I volunteered Michael to help me test Fire’s Little Helper. The product was a small cardboard box that you easily fold. 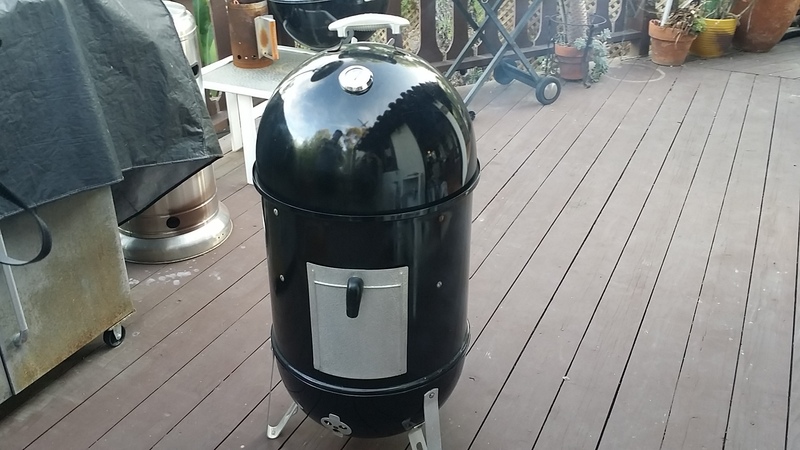 It has holes on the top and sides to vent the smoke and fire. You crumble a few paper towels and pour any kind of oil on them, stuff them into the box, put your charcoals on top, light the box on fire and you have a very easy product to start your fire with. There is a video you can watch online for Fire’s Little Helper—a mark that aptly describes the product. 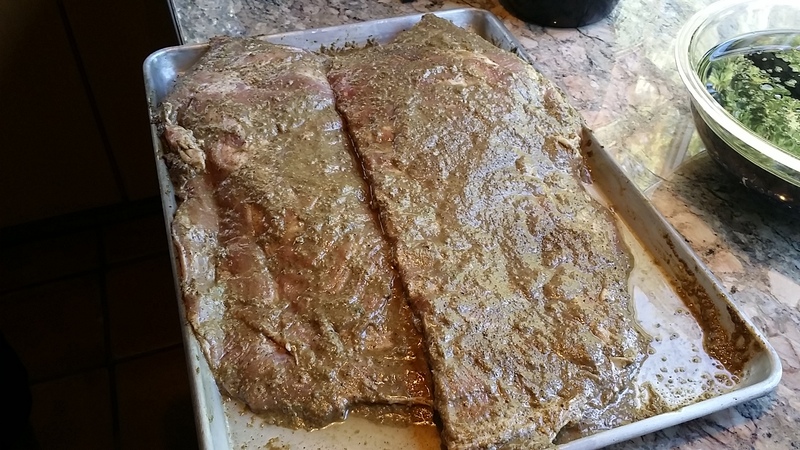 Michael had marinated the ribs with a Jamaican Jerk sauce the night before. 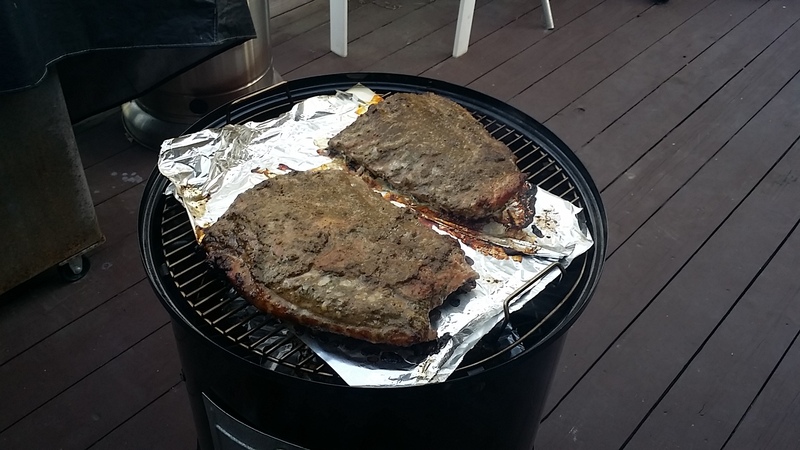 (Here is Michael’s blog post and recipe) We placed both racks on the smoker’s grill grates, selecting just one apple wood chip for a slightly sweet accent. Michael’s ribs were quite delicious: large spares with a lot of meat on them. 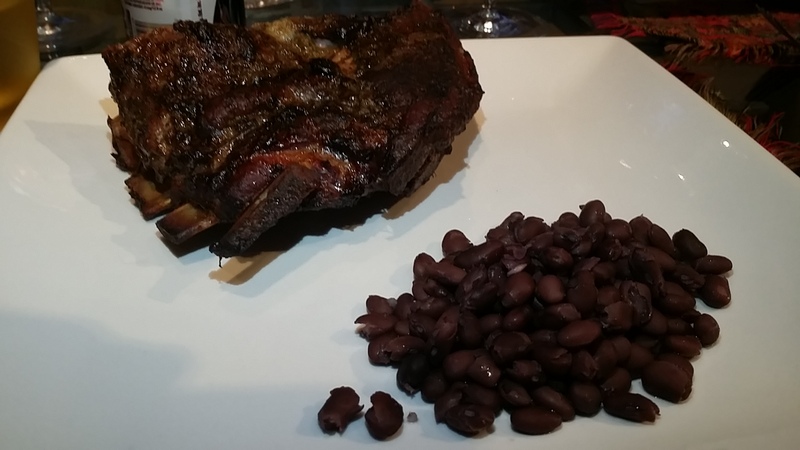 The smoker rendered them quite tender and we enjoyed them with green salad and Caribbean black beans on the side. Fire’s Little Helper out of the UK had done it’s part in helping with the our meal. Three bottles of wine later we were sated from our carnivorous frenzy and enjoying just the camaraderie of fellow food lovers. That’s when Michael made his brazen confession. I thought he was going to say, “I’ve never smoked anything before.” I knew in a heartbeat that couldn’t be true because the man is pretty damn efficient at most everything in the kitchen. I’d been following his food photos from his dinners at home and was jealous of them all. But he did say it. And what made it funny to hear, was him saying it with some trepidation because everyone that knows me, knows I’m the “rib girl.” They don’t want to disappoint me. Michael’s proclamation of excusing himself in case the ribs weren’t any good was also funny because of how utterly futile it really was. If the ribs had sucked his after-the-fact confession would not have much mattered. And as good as they were that confession was just plain funny. But Jamaican Jerk for a Kansas City BBQ judge? He should have confessed about that, or at least shown some guilt. Michael is also the food critic for a local San Diego paper, City Beat.